FRIDAY NIGHT IS JUNIOR CRICKET NIGHT! 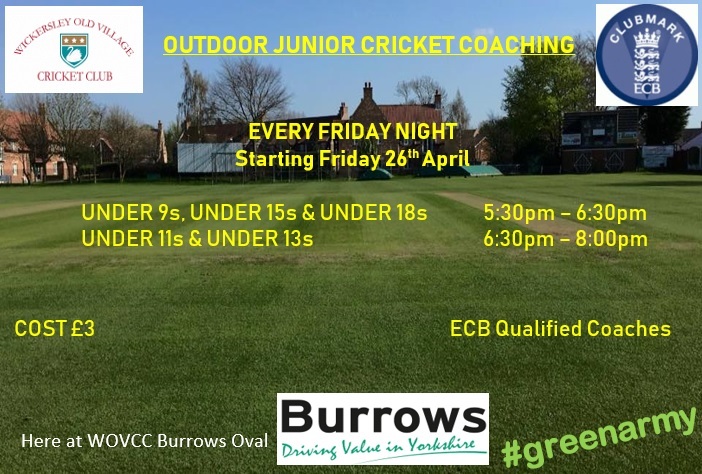 The juniors head outside on 26th April here at WOVCC. We welcome new players and have fully licensed ECB coaches running the sessions.